• 11-day Alaska & the Inside Passage — Vancouver to Seward or vice versa: May – August 2021 dates available. Priced from $6,495 per person in a Veranda stateroom. • 15-day British Isles Explorer — Bergen to London or vice versa: August – September 2021 dates available. Priced from $10,695 per person in a Veranda stateroom. • 10-day Empires of the Mediterranean — Venice to Athens or vice versa: April – August 2021 dates available. Priced from $6,495 per person in a Veranda stateroom. • 11-day Greek Odyssey — Athens to Athens: May 2021 date available. Priced from $6,995 per person in a Veranda stateroom. 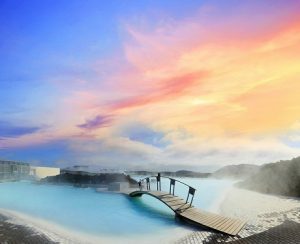 • 13-day Iceland’s Majestic Landscapes — Bergen to Reykjavik: July – August 2021 dates available. Priced from $8,495 per person in a Veranda stateroom. • 8-day Iconic Western Mediterranean — Barcelona to Rome or vice versa: April 2021 date available. Priced from $4,295 per person in a Veranda stateroom. • 15-day Into the Midnight Sun — Bergen to London or vice versa: May – July 2021 dates available. Priced from $9,995 per person in a Veranda stateroom. • 13-day Mediterranean Odyssey — Barcelona to Venice or vice versa: April – August 2021 dates available. Priced from $7,695 per person in a Veranda stateroom. • 11-day Russia & the Baltic Sea — Stockholm to Copenhagen or vice versa: June – August 2021 dates available. Priced from $6,995 per person in a Veranda stateroom. • 15-day Trade Routes of the Middle Ages — Bergen to Barcelona or vice versa: April 2021 dates available. Priced from $6,995 per person in a Veranda stateroom. • 15-day Viking Homelands — Stockholm to Bergen or vice versa: April – September 2021 dates available. Priced from $8,695 per person in a Veranda stateroom. 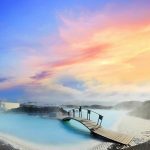 • 8-day Viking Shores & Fjords — Amsterdam to Bergen or vice versa: May and August 2021 dates available. Priced from $5,395 per person in a Veranda stateroom.